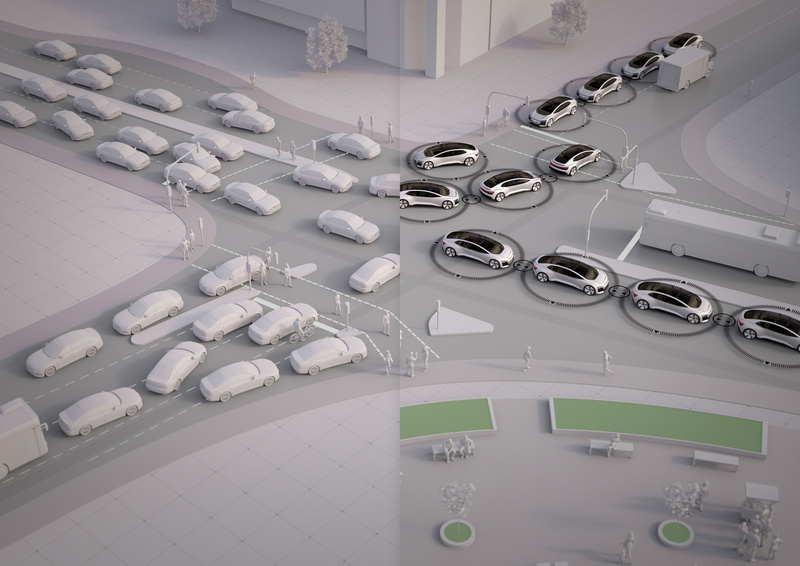 Fleets of self-driving cars will help to solve traffic problems in cities in the long term. These benefits become even more apparent when coupled with smarter traffic management and a higher occupancy rate, i.e. increasing the average number of persons per car. If this figure rises moderately from 1.1 to 1.3 persons, because more people share a car, there is no more congestion during rush hour. How much time will we save in a city with autonomous cars, ride sharing and smart traffic management? Answers are given by the Audi study “25th Hour – Flow”. 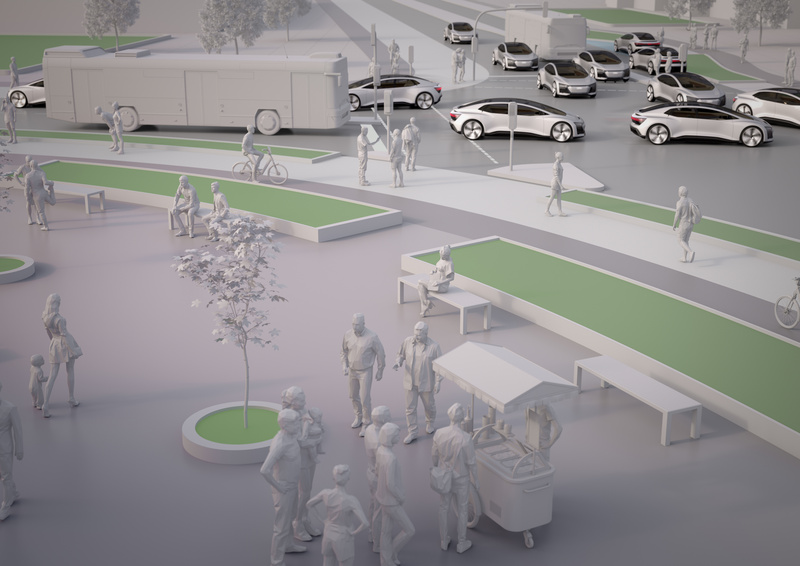 Partnering with the traffic experts at the Karlsruhe Institute for Technology (KIT) and the Munich consultancy MobilityPartners, the research simulated the future of mobility in Ingolstadt/Germany. 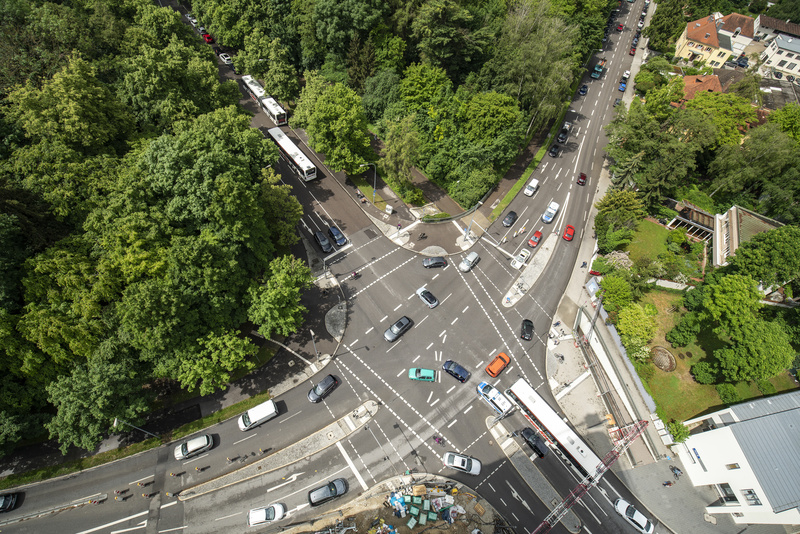 According to the study, a lasting reduction in travel times can be achieved on a typical commute: in fully automated traffic by one third, even though over ten percent more people are on the road. The prerequisite is that the trend towards sharing takes hold. 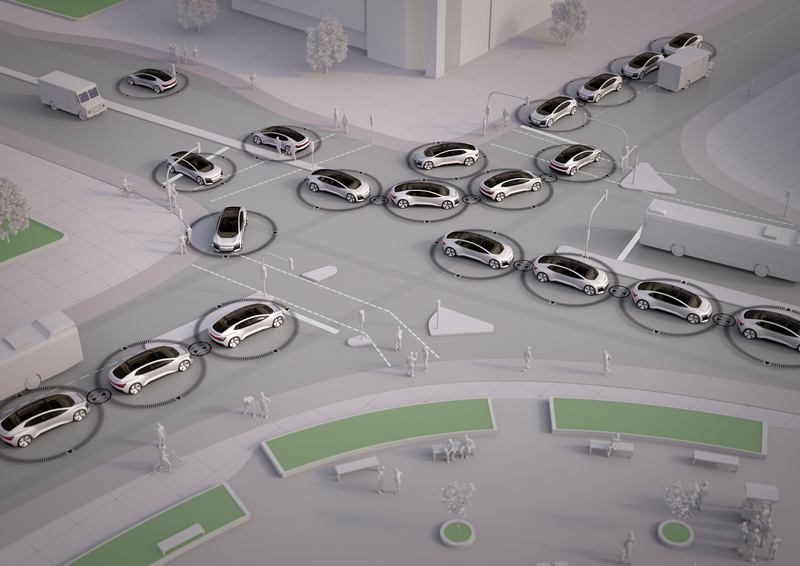 Fleets of self-driving cars will help to solve traffic problems in cities in the long term. These benefits become even more apparent when coupled with smarter traffic management and a higher occupancy rate, i.e. increasing the average number of persons per car. If this figure rises moderately from 1.1 to 1.3 persons, because more people share a car, there is no more congestion during rush hour. 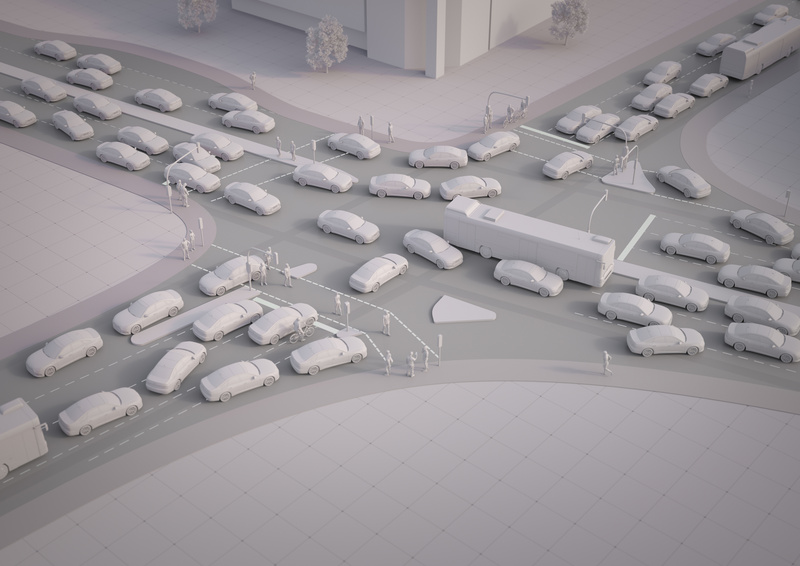 In a fully automated, networked traffic system, more people (+12%) can be transported much more quickly (-33%) in commuter traffic (see animation). Connected, automated and shared vehicles also provide cities with new opportunities to use and reallocate space to improve urban quality of life. 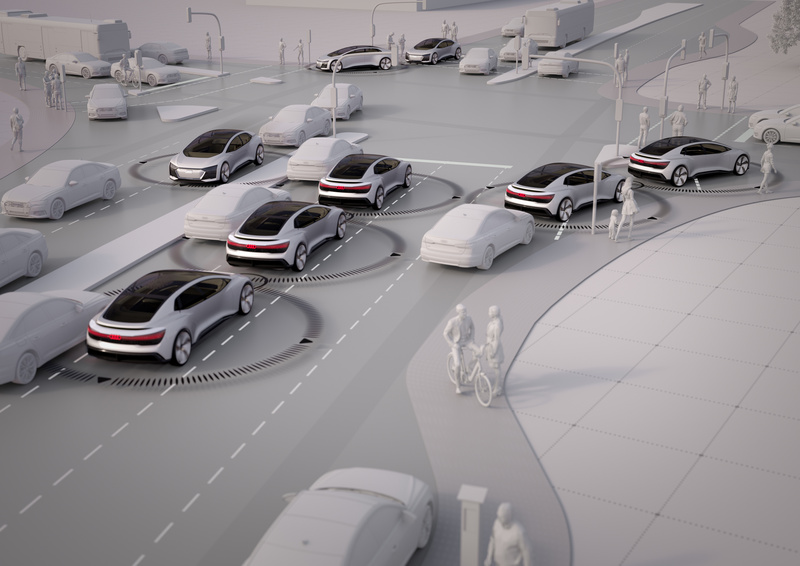 For example, the study found that the incorporation of fully autonomous vehicles could repurpose one traffic lane in a four-lane network and dedicate this new space to pedestrians or bicycles instead of vehicles. 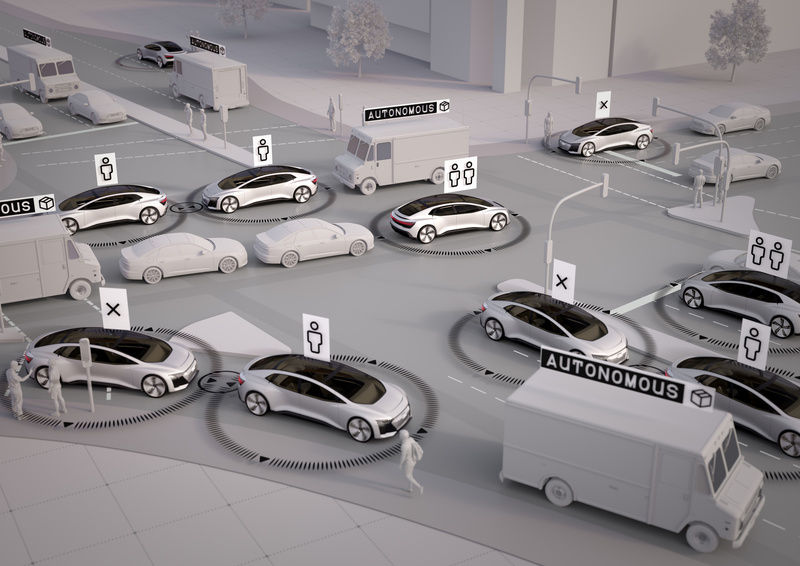 The study takes into account that, with an increasing number of autonomous cars, more senior citizens and children without a driver’s license have access to mobility, and convenient robo-taxis will compete with local public transportation. 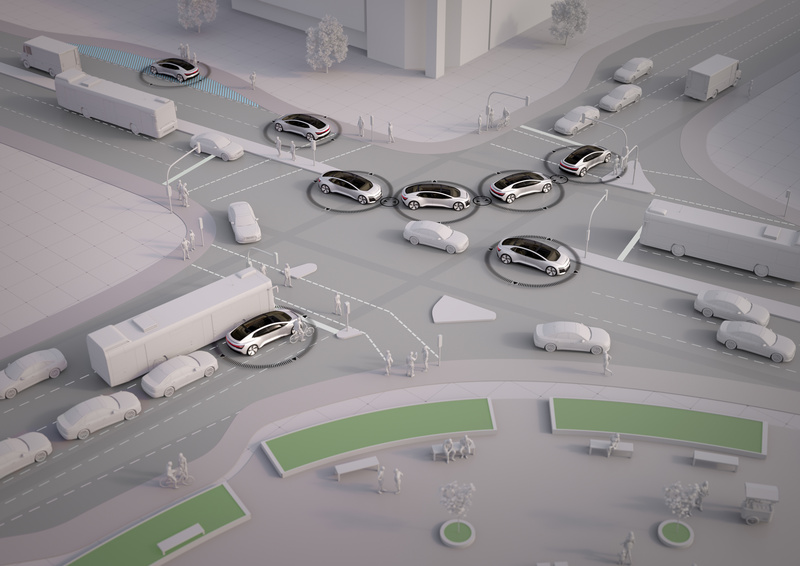 “The results suggest that autonomous cars, mobility services, and networked infrastructure can significantly reduce congestion and road space. At the same time, more young and old people can travel safely and conveniently. In this way, the quality of life in cities will be improved dramatically. 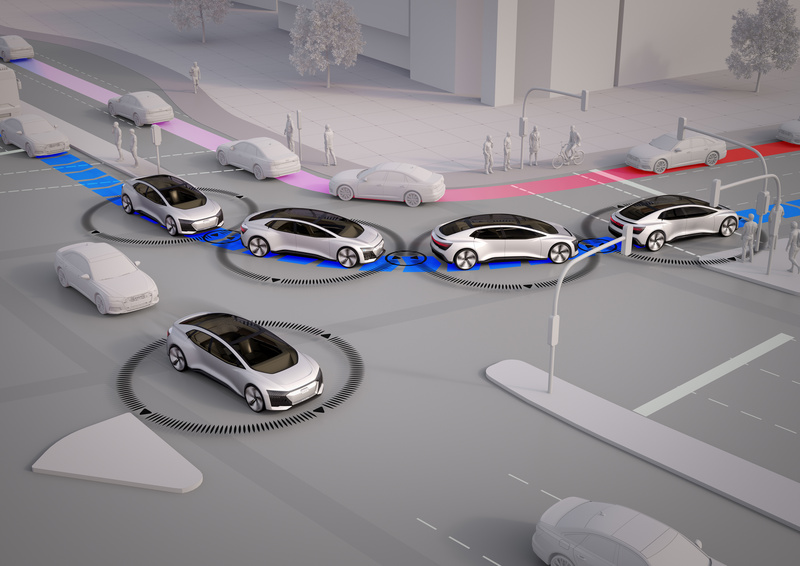 These findings encourage us to continue our investment in the future: in self-driving cars such as the Audi Aicon, services like Audi on demand, or networked technology such as Audi traffic-light information,” says Melanie Goldmann, head of Trend Communication at Audi. The study also examines more extreme scenarios. For example, what happens if there is a sharp increase in the number of people who use public transportation, walk, or travel by bike? What is the effect of high levels of delivery traffic as a result of online shopping? And what happens if cities do not permit self-driving cars or are slow or reluctant to digitalize their infrastructure? The results range from shorter journey times in commuter traffic (-40%) to gridlock. 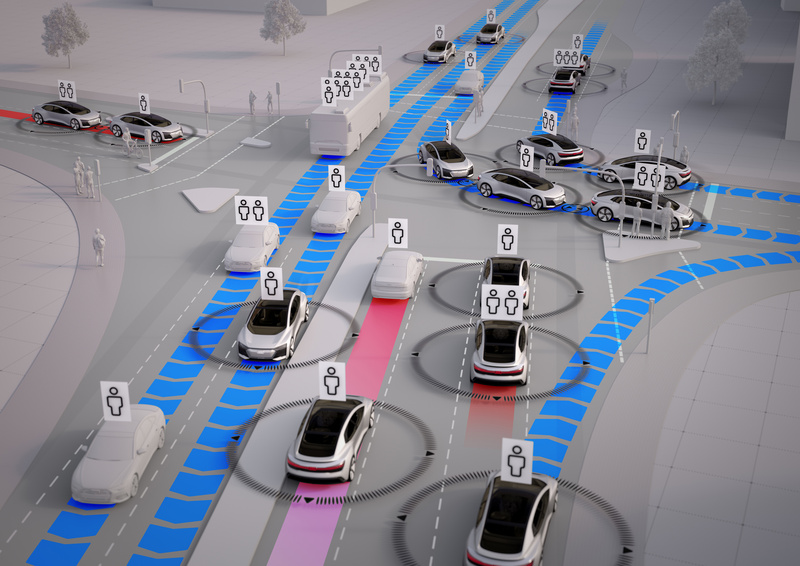 “The effects of connected and automated vehicles and of other technical and societal developments are continuously studied in the transportation research community. In most cases, the studies focus on single aspects of these developments in order to better identify the isolated effect of exactly that aspect alone. 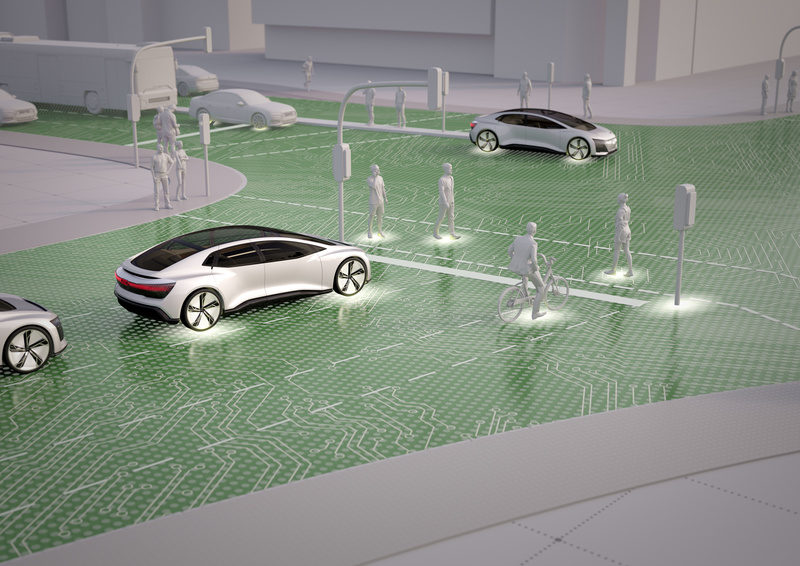 Our objective was different: We wanted to draw a picture of what mobility will look like when all these effects come together,” says Professor Peter Vortisch, head of the Institute for Transport at the KIT. 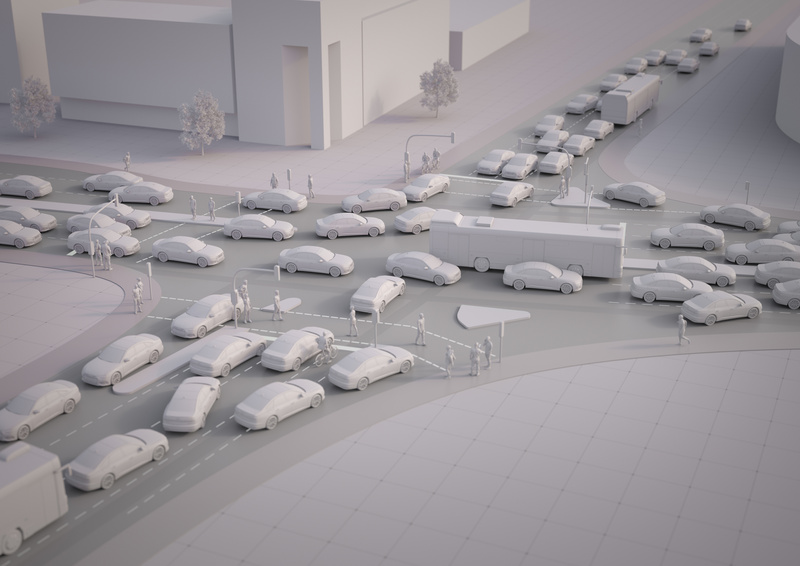 In the traffic model for Ingolstadt, the researchers investigated only one parameter in isolation, without taking account of changes in user behavior or increased demand: how many self-driving cars would be needed today to make the traffic flow noticeably better? At least 40 percent! Computers maintain the necessary distance to other vehicles, do not drive too fast, and obey all traffic signals. 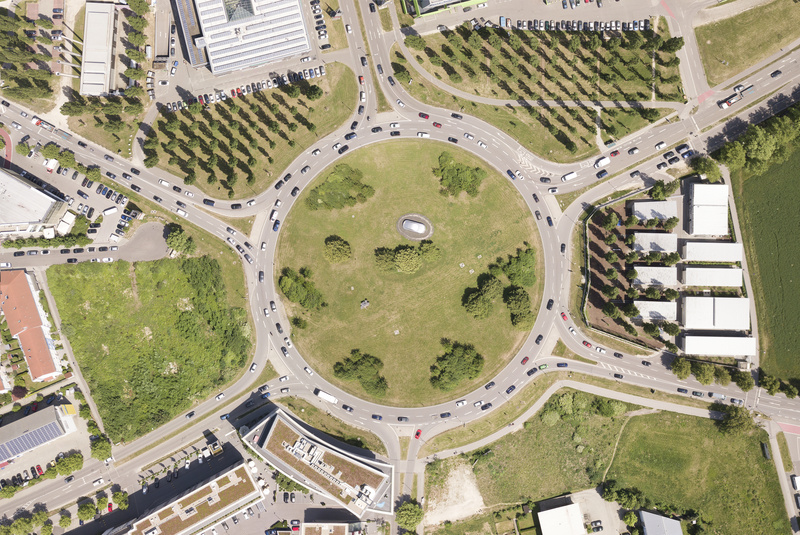 However, according to several academic studies, in a mixed traffic situation this has a disadvantage for traffic flow. 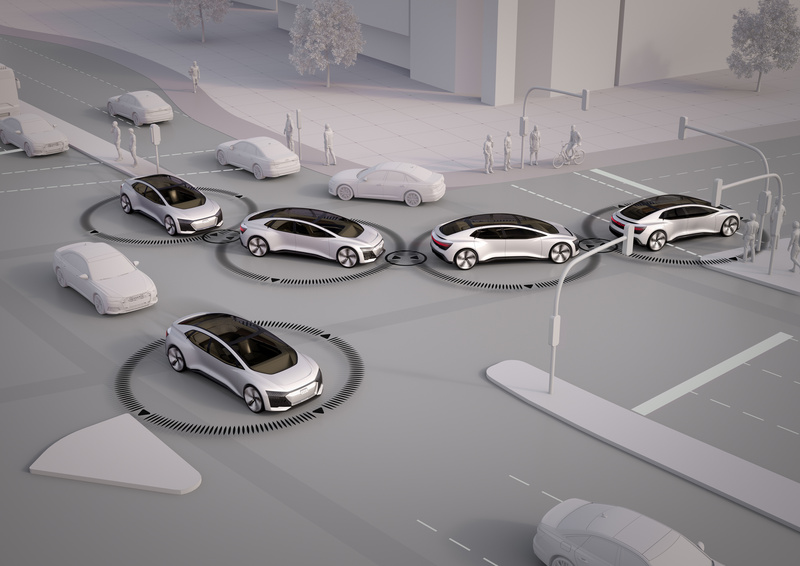 Journey times are noticeably cut only with an increasing number of autonomous cars: if the roads in Ingolstadt today were used only by autonomous vehicles, travel times would fall by one quarter. “The results show us how important it is to take an overall view of urban mobility. 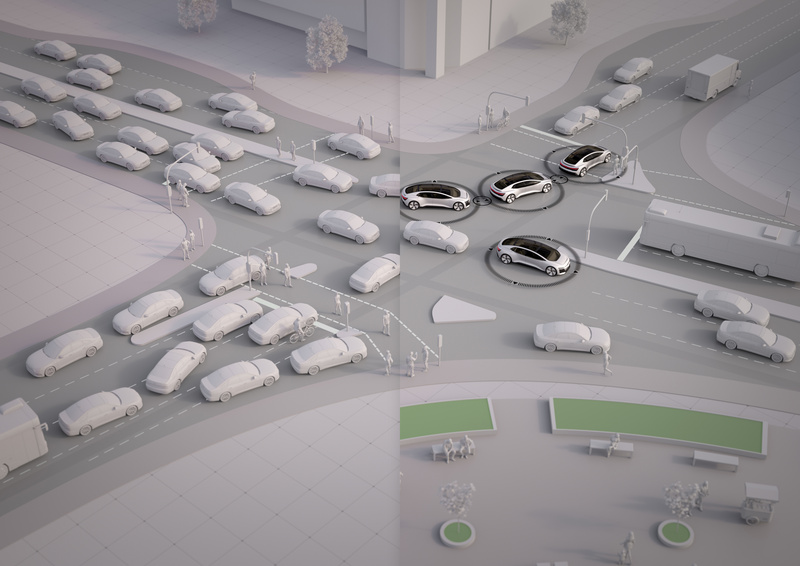 Self-driving cars require mobility services and smart infrastructure to make the most of their advantages. For this reason it is important to cooperate with various stakeholders, especially with cities,” says Goldmann. 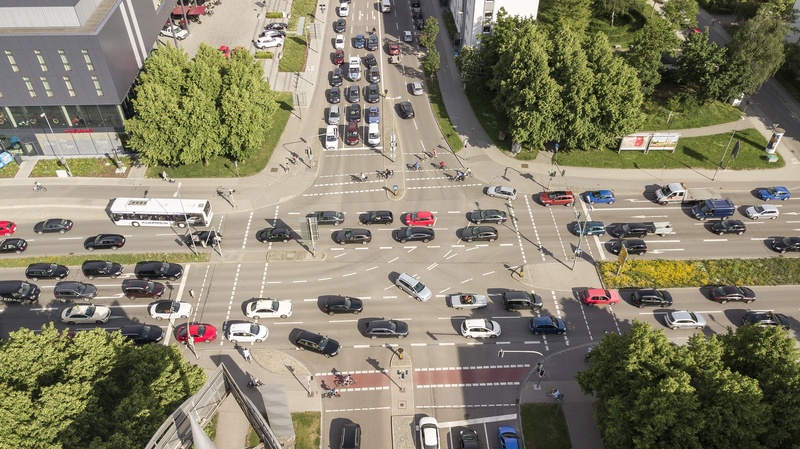 With its approximately 140,000 residents, Ingolstadt, Audi’s headquarter city, is well suited as a “laboratory” for traffic flow on the roads, as traffic here has four wheels: for historical reasons there are many automobiles and buses here, but no subway or trams. These conditions apply in many medium-sized cities in different countries. Today, on average, drivers spend about 50 minutes per day at the wheel. 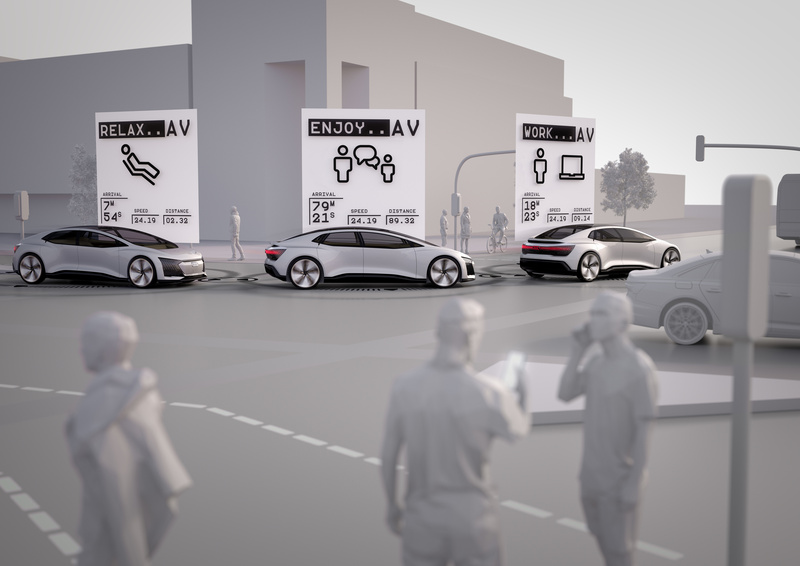 In the “25th Hour” project, since 2017 Audi has been investigating how self-driving cars will change our everyday lives. In the future will we continue to spend almost an hour a day in the car? 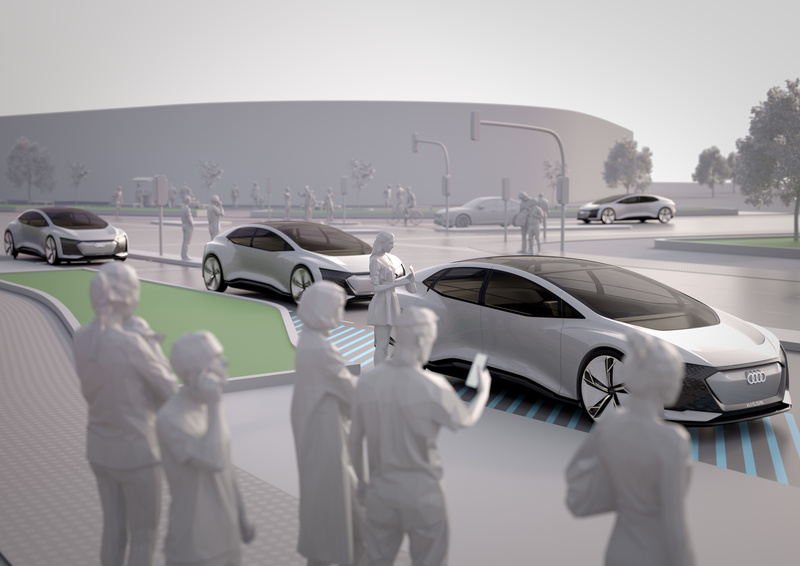 In addition, the traveling time in the self-driving car can be put to good use: passengers talk, relax or work. 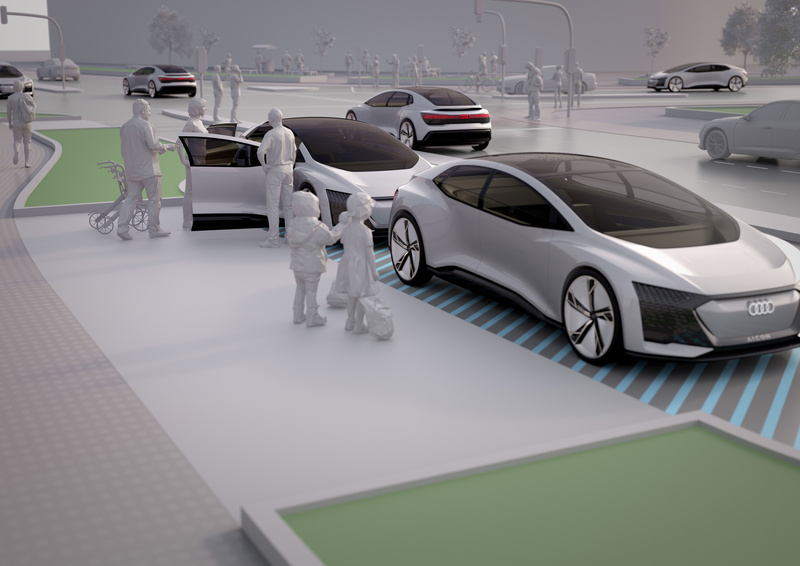 In collaboration with the Fraunhofer Institute for Industrial Engineering (IAO), Audi is investigating how, for example, the interior of the car can become a perfect workplace (study, 2017). For Audi’s strategists and designers, the answers to such questions are highly relevant. Digitalization and urbanization transform cities, mobility and user behavior. 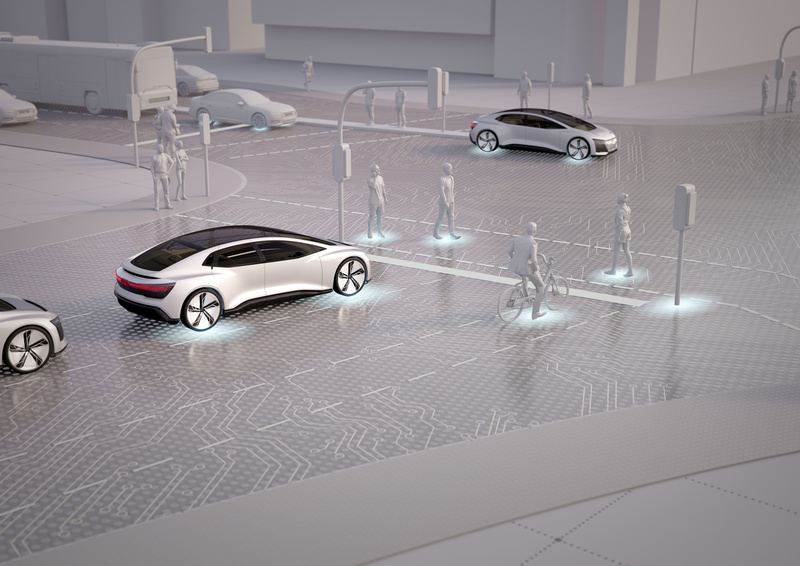 Automobile concepts, however, are being developed today – and have to blend smartly and efficiently with developing mobility systems in the future.